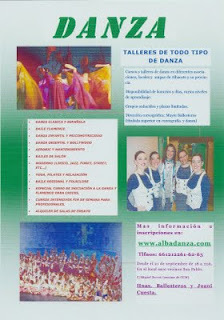 PROXIMAMENTE COMENZAREMOS A COGER INSCRIPCIONES PARA LAS CLASES DE DANZA; YA SABEIS QUE HACEMOS DE TODO Y ADEMAS INAGURAREMOS UN NUEVO ESPACIO PARA REALIZAR NUESTRAS CLASES, ADEMAS DE NUESTROS LUGARES DE COSTUMBRE (ASOC. 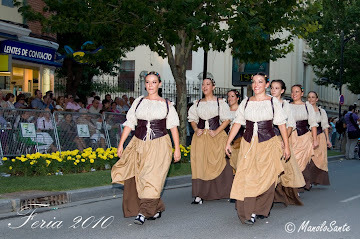 SAN PABLO, C.P. DIEGO VELAZQUEZ, C.P. REINA SOFIA, ETC....) . 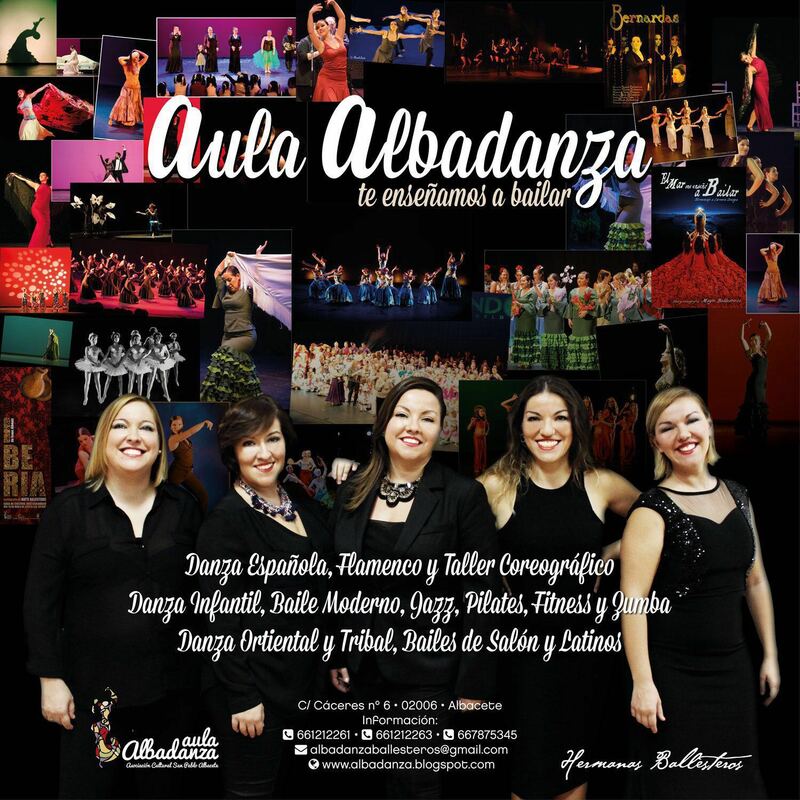 OS DEJO UN CARTEL QUE REPARTIREMOS POR TODO ALBACETE EN EL CUAL SE ESPECIFICA LOS CURSOS QUE REALIZAREMOS Y SI TE INTERESA ALGUNO ENTRA EN LA PAGINA WEB http://www.albadanza.com/ Y DEJANOS TUS DATOS (NOMBRE, DIRECCION Y TLFNO FIJO Y MOVIL) , HORARIO PREFERIDO Y CURSOS QUE QUIERES REALIZAR, TAMBIEN SI TIENES CONOCIMIENTOS DE DANZA O ERES DE INICIACIÓN.